If you’ve ever been intrigued by seeing the hidden places that streams travel through, you’d be well advised to come out volunteering with us as part of the Fisheries Improvement Programme. 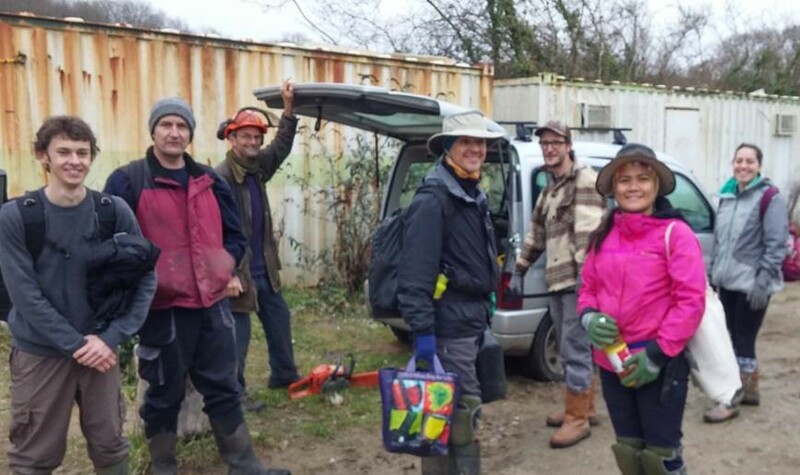 A partnership between WRT, the Environment Agency, land owners and anglers, the project aims to improve the existing habitat for wildlife on sites along the Culm (Devon), Tresillian (Cornwall) and the Fal (Cornwall). Based on evidence collected by the Fisheries team through walkover surveys, a series of actions were identified that are now being implemented by WRT – and we need your support. The work includes removing and coppicing shrubs on the river bank, integrating woody debris in the stream so that habitat is generated for more fish populations, and protecting the banks from erosion to avoid high sediment input – and, of course, copious amounts of tea, chocolate and some valuable bits of insight into the work of the amazing fountain of knowledge that our fisheries officers are!